Everything you need to create professional quality products, the Bernina 8 Series are all round achievers, providing an extensive range of functions and accessories. The varying setting and combination options makes a massive range of creative techniques available all with ease and precision. 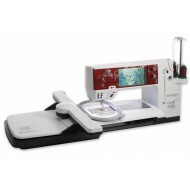 Features offered include the Bernina Stitch Regulator (BSR) and extensive memory functions, which allow you to store your own stitch and pattern creations and combinations. 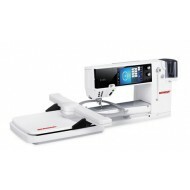 The Series 8 machines provide intuitive touchscreen operation and an extensive repertoire of decroative, utility and quilting stitchs which, of course, can be varied and combined. There is even a larger work area, ideal for ambitious sewing projects. 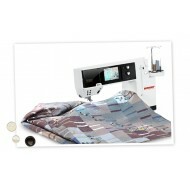 If you want high quality, professional results, this is the machine for you. The high-end sewing and quilting machine What makes the BERNINA 820 QE the top model in its c..
BERNINA 830 Limited Edition Model The t.. Enter the world of endless creativity Fully automatic features Imagine a machine that aut..